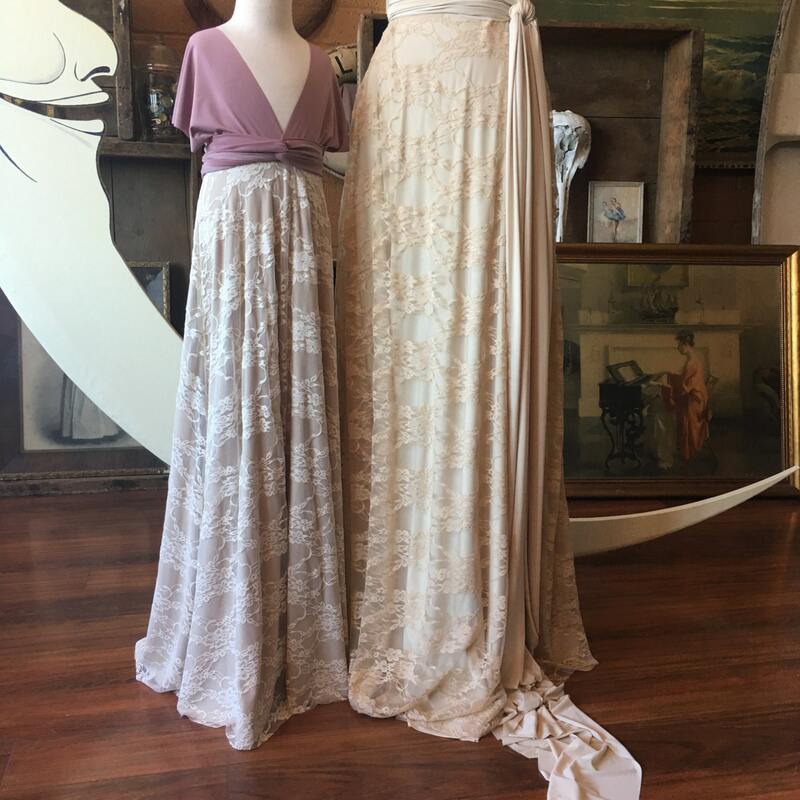 Tea and Ivory Vintage Style Lace Octopus Infinity Wrap Dress- Wedding Gown, Bridesmaids, Maternity, Etc. The Octopus Infinity Wrap Dress is many dresses in one! 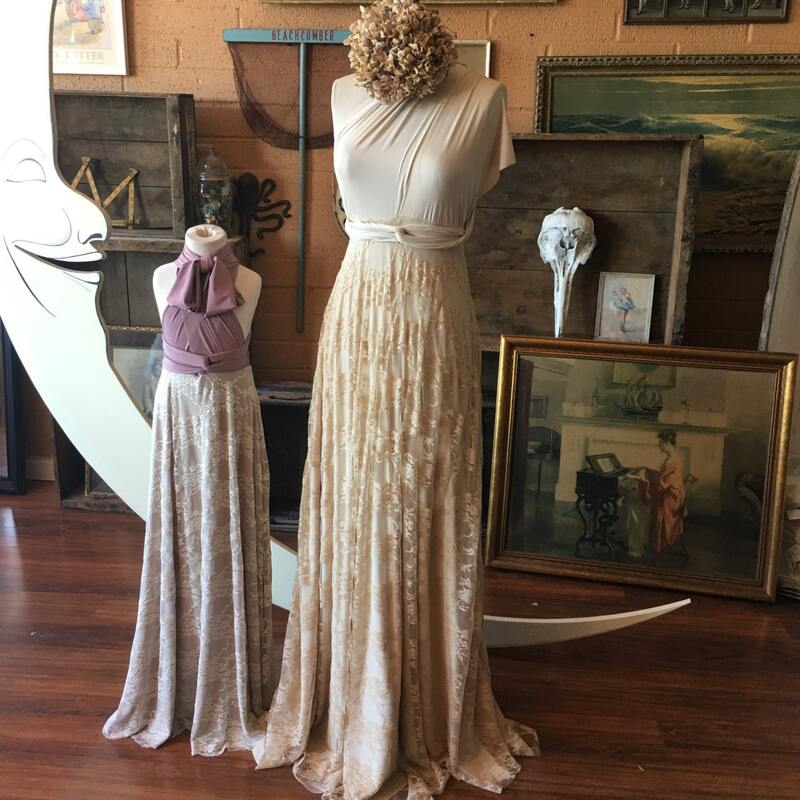 The long dress I offer is a full half circle skirt with long attached sweeping sashes you can convert the top portion into innumerable styles! Have fun and get creative! 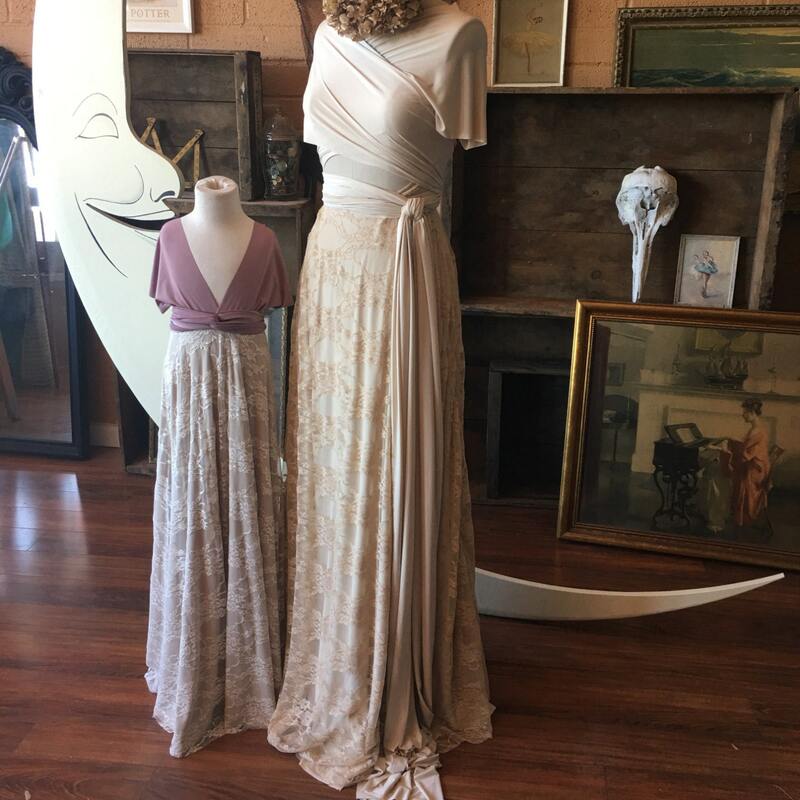 Either choose what I have photographed or custom combine any of my high quality solid and specialty chiffon or lace fabrics to create your one-of-kind dress! 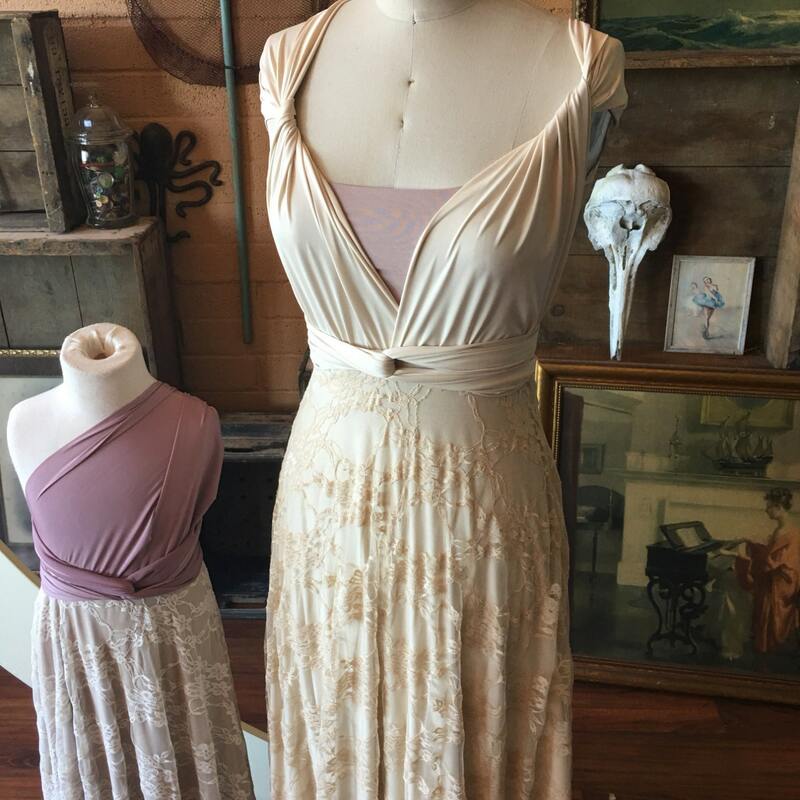 Perfect as a wedding, bridesmaids, maternity, and/or special occasion dress! 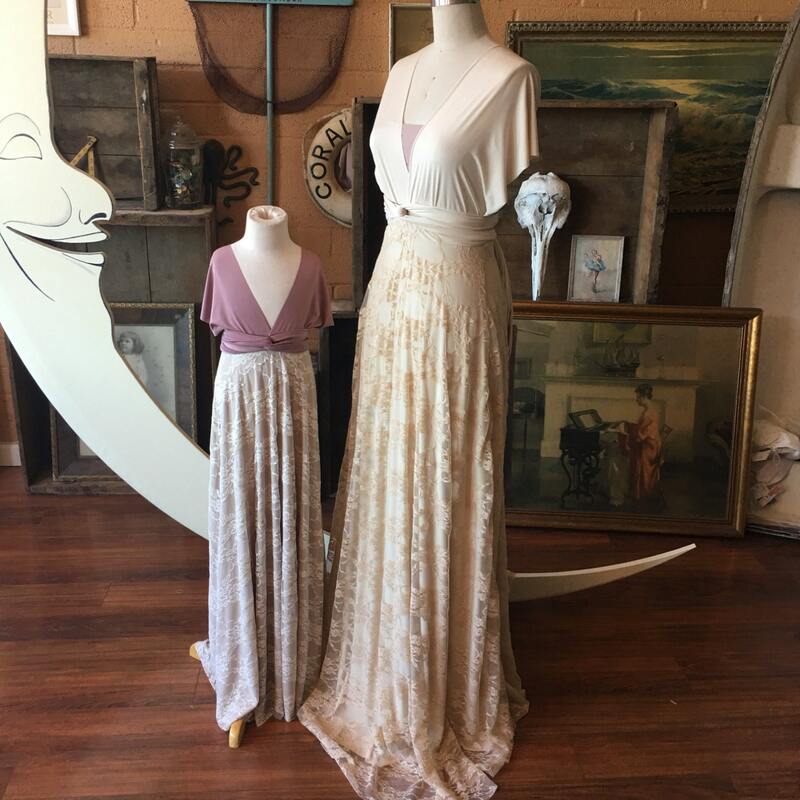 *Childs dress sold separately in store and is made with Swan Lake Heather with Trestles Champagne under the Ivory Lace! A. High/Low- (+$40)Front of dress is cut at 21" (can be customized), Back-choose length from choices above and leave note at checkout. B. Tulip Petal Cut- (+$40)features a layered/ overlapped 'petal' cut front that gives a high/low effect. Front opens at tea length to appx. 21" from floor. Please choose back length from choices above and make sure to leave note at checkout with choice.